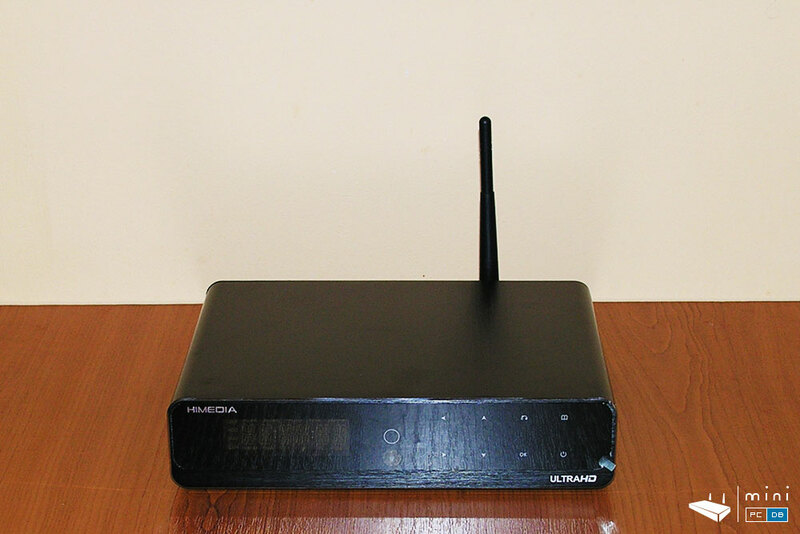 Himedia has a long-standing partnership with HiSilicon (brand owned by Huawei) as they released an Android Mini PC line with an HiSilicon SoC for a few years in a row. All of them had a slight advantage over the competition, as HiSilicon chipsets seem to have a better image quality than the others. 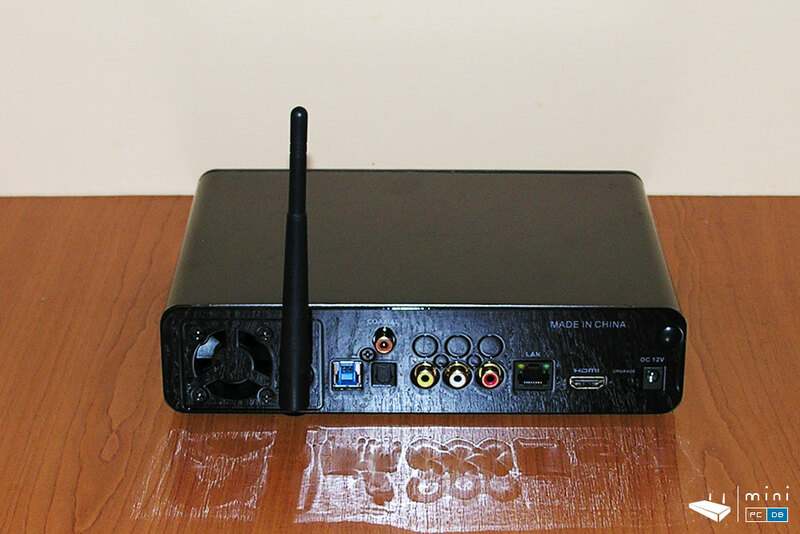 Last year I expected a new Mini PC line from Himedia-HiSilicon around October, but the announcement came a few months after that - and, if you remember, you could read about it first right here on MiniPCDB. 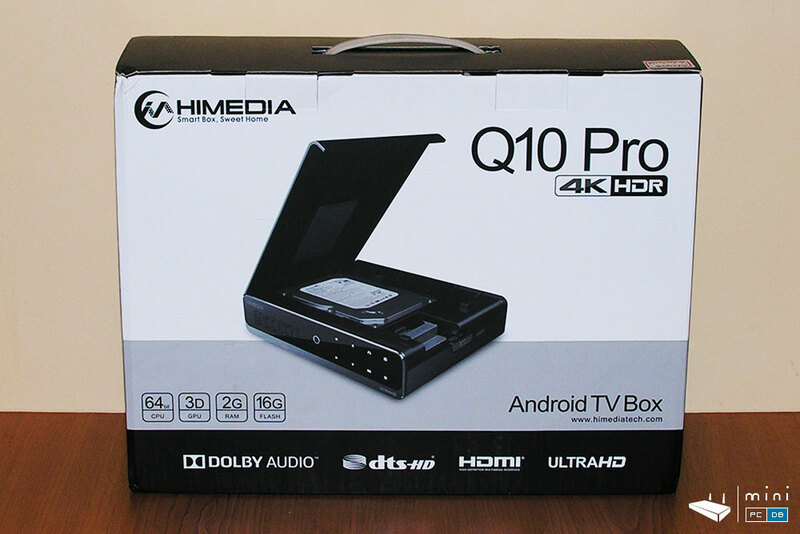 Folks at Himedia were kind enough to send me a review sample, and although I had it for a few days now, I wanted to clear my schedule before I start the unbocing and review, as this device really deserves undivided attention. Given the partnership between Himedia and HiSilicon, it makes sense that the first device with the Hi3798C V200 SoC was launched by Himedia. 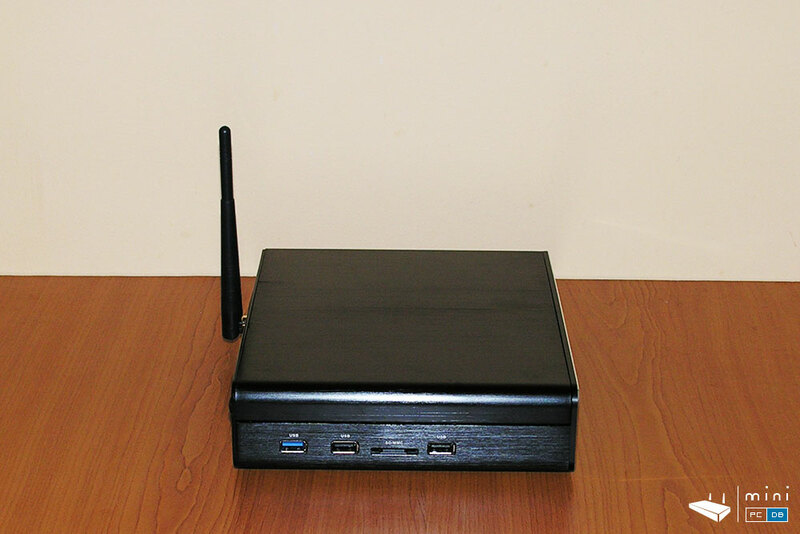 The Mini PC comes in a rather large box (compared to other mini PC's we reviewed here recently). 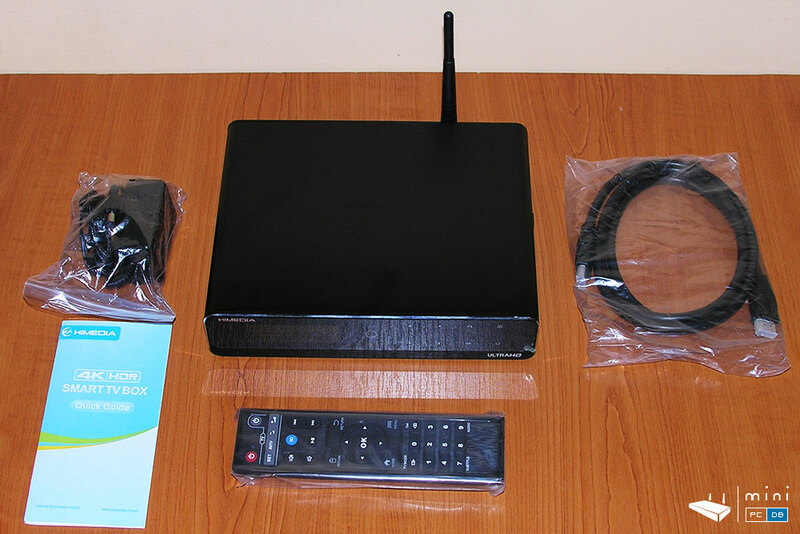 Himedia is pushing their new motto ("Smart box, Sweet Home") and the box has the Dolby Audio, dts-HD and HDMI as well. One one side there's a picture viewed from left (with the USB and SD ports) and on the other side we see a picture from the right side - and with the HDD tray open. 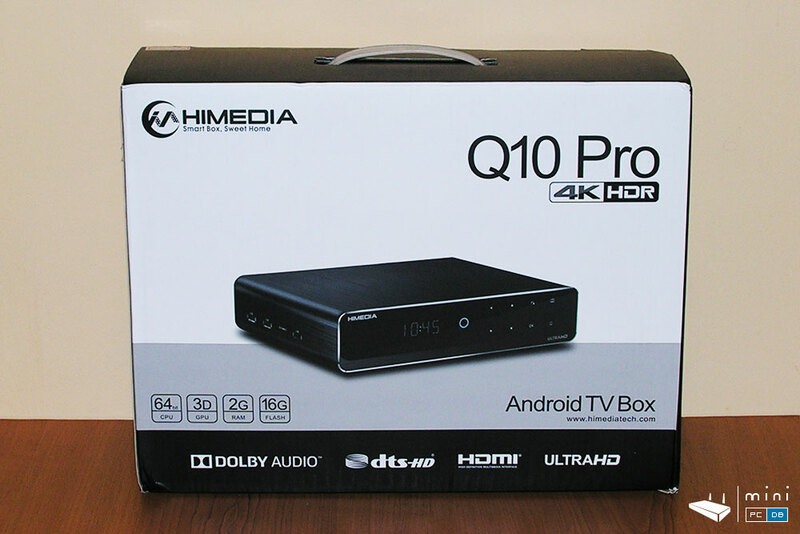 Himedia Q10 Pro comes with an HDMI cable, power adapter and a classic IR remote with learning function. 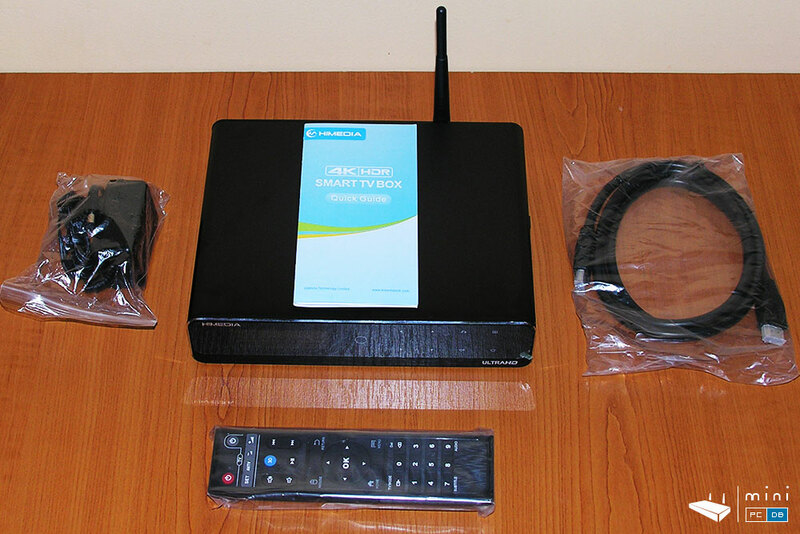 There's also the "Quick Guide", which briefly explains each key from the remote (on one side) and how to connect the device to your TV/Home Theather/Sound System and to the internet (on the other side). The device itself is a nice combination between plastic and aluminum, which is also use to drive the heat away from the CPU, so there's no reason to panic if you find it a bit warm after playing some 4K movies. I especially liked the silver finishings around the front panel. Speaking about the front panel, you can navigate around the menus (and even shutdown the device) using the "smart touch" keys from the front panel, so if you lost your IR remote you can still operate the device. On front there's also the LCD panel, that shows you which section of the main menu is used (there's a section for each of the following: USB, Movie, Music, HiTV, Apps, HDD, Card, LAN, 1080p, 720p, Browser, Wi-fi). 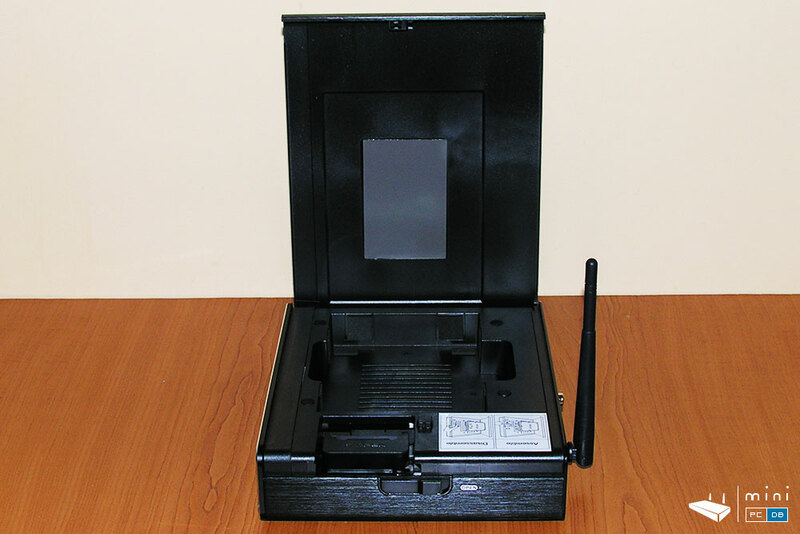 The left side has 1 USB 3.0 , the SD/MMC card reader and two USB 2.0 ports. There are no ports on the right side, as it's used to access the HDD tray. A slider opens the top cover so you can use the internal SATA port to add an internal HDD. 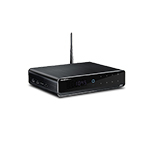 On the back we get to see the small fan, wi-fi antenna, USB 3.0 slave port, optical and coaxial outputs, the Video/L/R output,Gigabit LAN and HDMI. There's also a tiny pinhole used when upgrading firmware - I will explain the procedure in detail in the review. So there it is, one of the most anticipated devices of the year. Starting the work on review now, please check our twitter for updates. As usual, if you want anything specific tested, just leave a message.